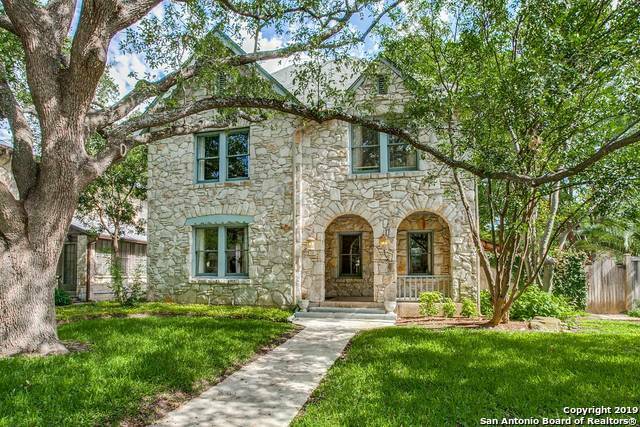 All homes currently listed for sale in the zip code 78212 as of 04/18/2019 are shown below. You can change the search criteria at any time by pressing the 'Change Search' button below. "La Tenuta di Laurel Heights-a three story gem extensively renovated offers the allure of Hollywood Hills in Historic Monte Vista. 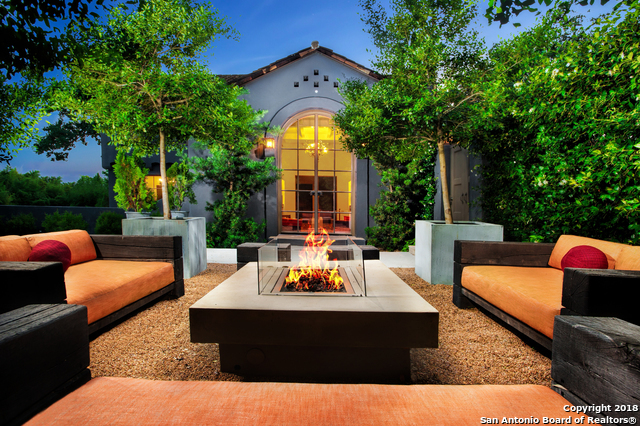 A Spanish Mediterranean/Modern Resort-like Retreat w/multiple inviting outdoor living spaces; Al Fresco dining orange tree orchard, a WHotel inspired pool, entertain in a glass enclosed dining. 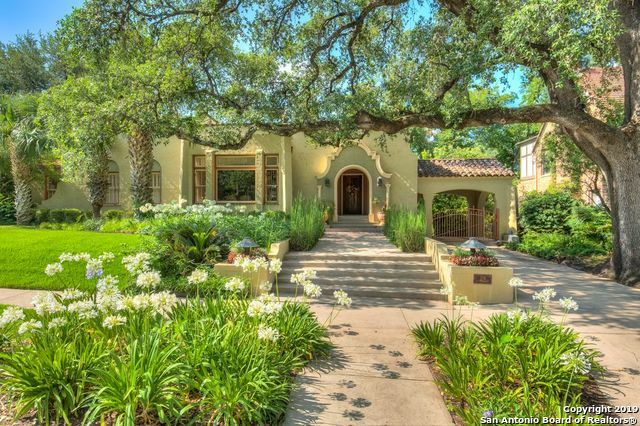 Soothing Brazilian Pecan Hardwood floors, master retreat w/ square iron tub & steam shower, fashionista closet & sitting room.This Relaxing Private Estate offers a lifestyle l"
"Feathery palm trees emphasize the captivating facade of the 1920 Romanesque residence. 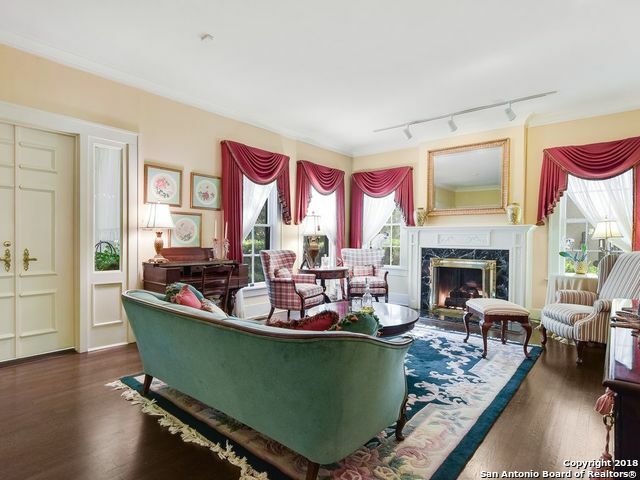 The 2-story design is resplendent with coved ceilings, double moldings, arched windows, Redondo tile and wood floors, Mission style millwork, 3 fireplaces, and dual staircases. 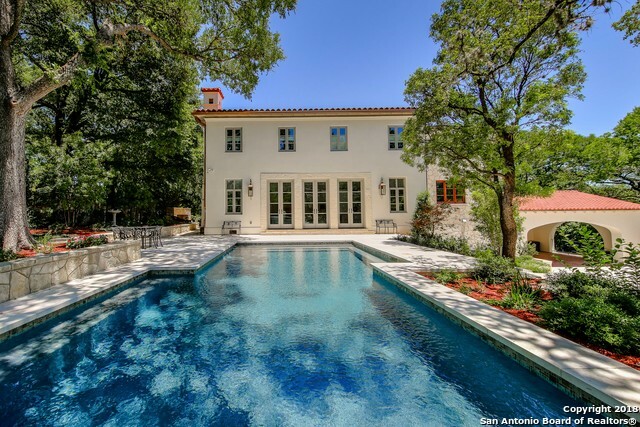 Rooftop terrace overlooks grounds with arbored colonnades and patios edging a 60' lap pool with spa. Premier island eat-in kitchen. Library. Sitting rooms. Wine cellar." 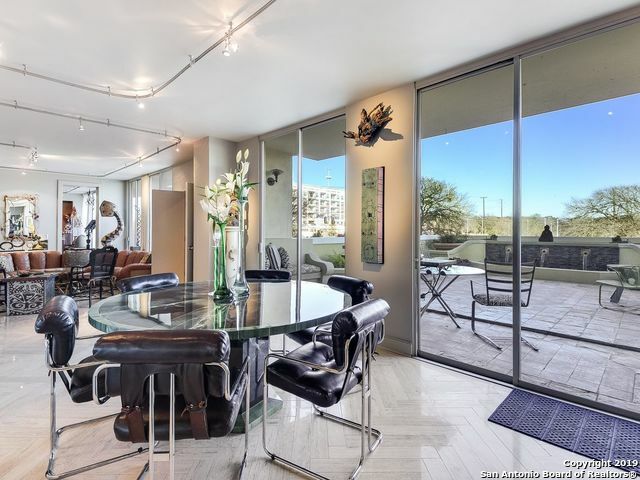 "Spacious w/elegant finishes throughout this fabulous condo in the recently renovated Olmos Tower is an absolute knockout! Entering through 2 SS doors to a foyer perfect for art, you feel like you are in an intimate but grand space. The living room accommodates 2 living areas & a dining area. 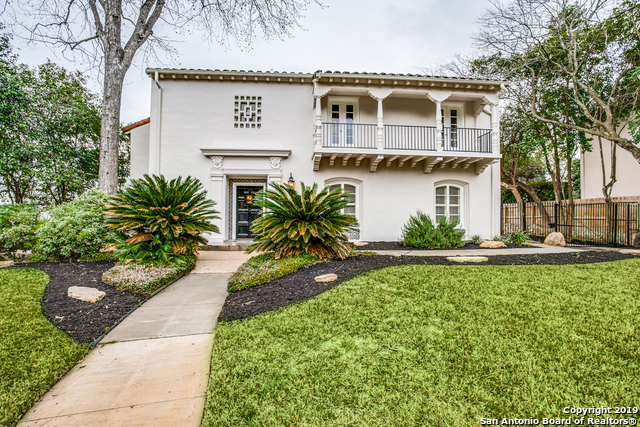 Private patio w/fountain offer views of Trinity University & grounds of Incarnate Word. Master suite & bathroom w/balcony filled w/natural light. Guest suite/second bedroom with own entrance." 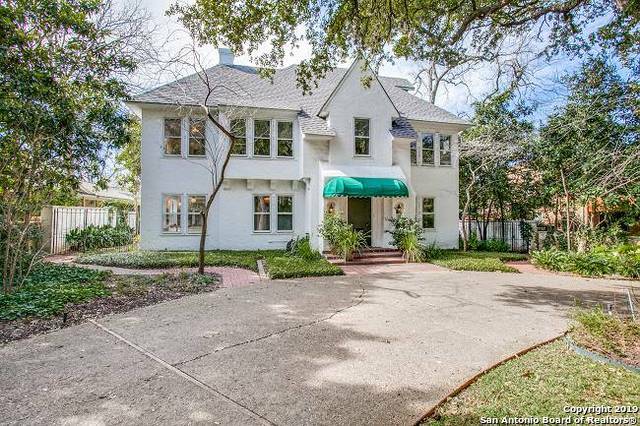 "Classic Tudor home w/stylish updates on oversized lot. 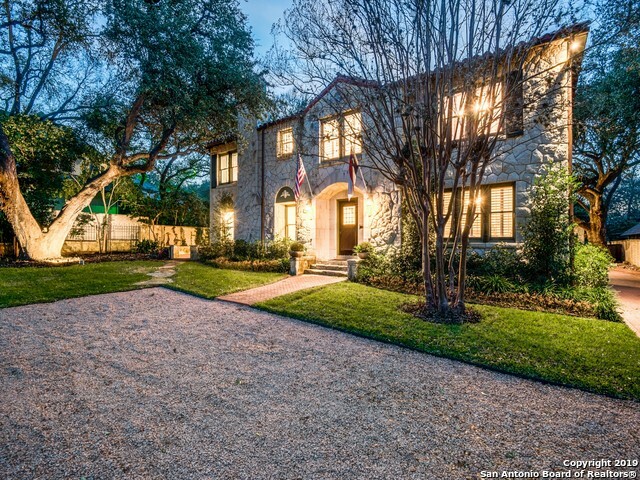 Gracious entry leads to separate dining rm & living rm w/gas fireplc flanked by dual galleries & hand-hewn wood flrs. Updated island kitchen w/ Viking gas cooktop, custom cabinets w/thoughful storage, honed granite counters & herringbone stone flr. Family area w/wet bar + outside access. Master suite oversized w/gasfrpc. 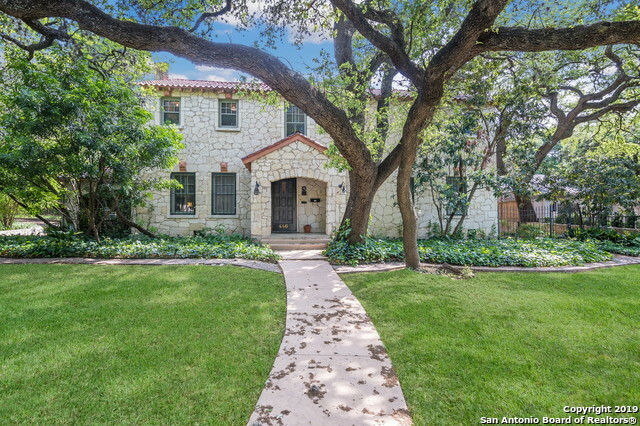 Master bath w/marble tile,lrg shower+walk-in closet.Wonderful patios+pool. Casita w/kichenette,full bath,liv rm-bedrm." 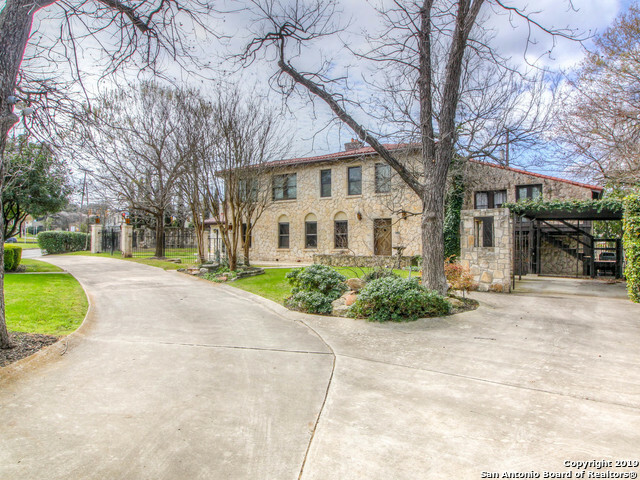 "Once in a lifetime a grand Historic Mansion comes on the market. 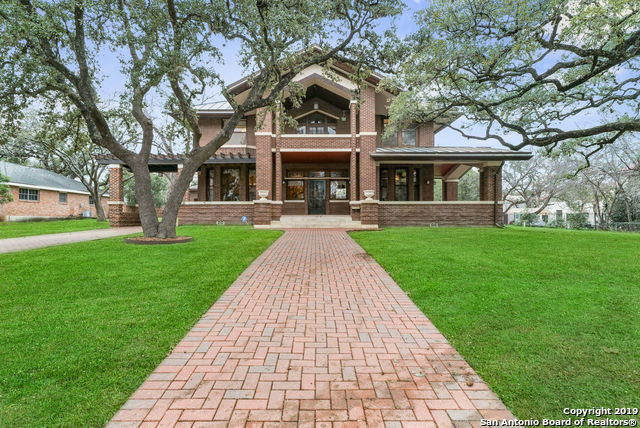 Located right next to Trinity University, this 1920 Classic Estate, nestled among majestic trees in a .94 acre park-like setting, features a chef kitchen with stand-up grill, a sun-filled Conservatory, spacious parlor and a dining room that will accommodate a dozen guests. 3 Ensuite Bedrooms up, a wine cellar below, a guest cottage, rentable student garage apartment and quarters or inlaw suite, plus a hidden garden with fruit trees"
"OPEN HOUSE SAT FEB 2, 12-2PM!! 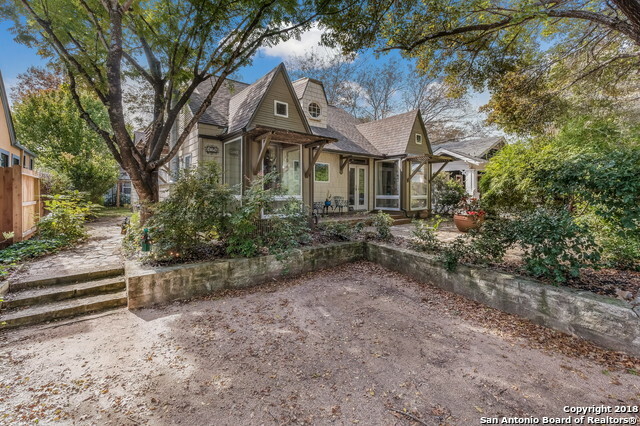 Beautiful, historic home in Monte Vista with 2br/2ba separate dwelling. Charming details around every corner including beautiful white oak molding and original, 100-year-old hardwood floors throughout. Working elevator services all 3 floors. 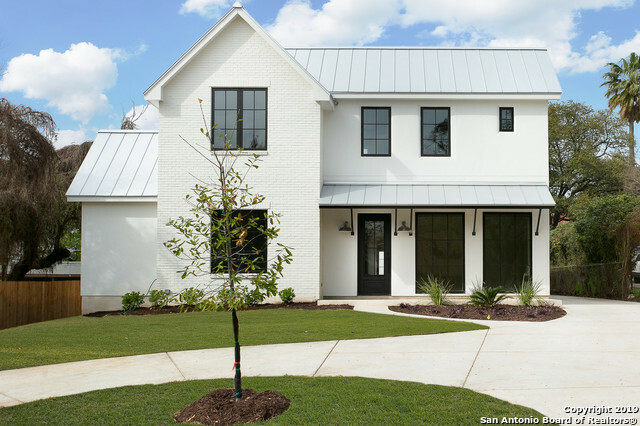 6 burner Viking stove, 2 dishwashers, wet bar, copper roof, car lift so garage can accommodate 4 cars, temp controlled workshop, 3rd floor bonus room. 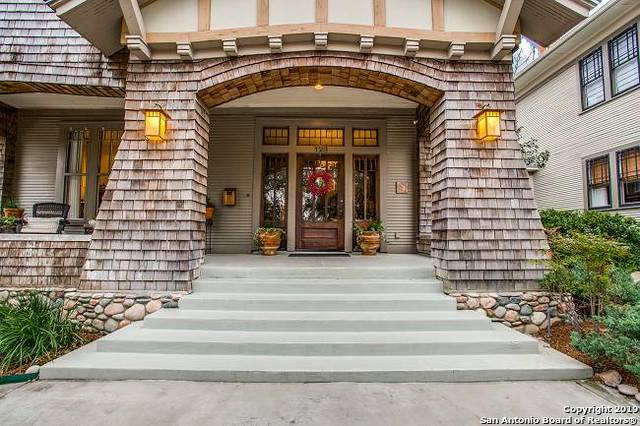 Huge wrap around porch with red brick adds to beautiful curb appeal." 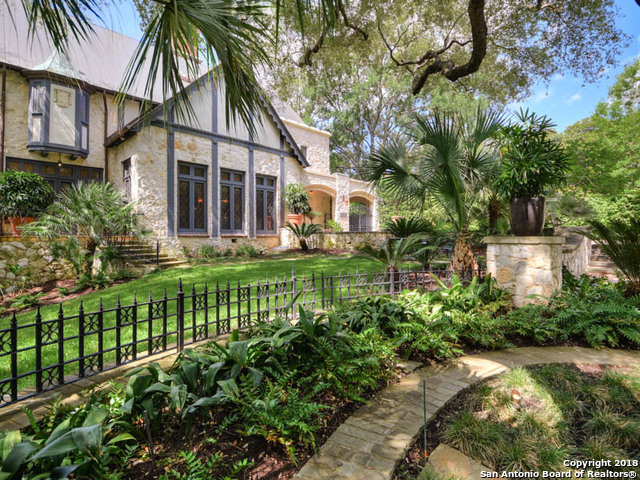 "Curious about what makes San Antonio so wonderful? 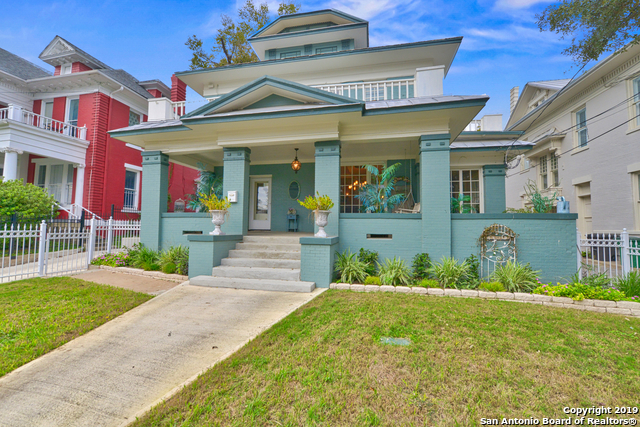 This newly updated home with four additional rental units, is a comfortable blend of modern convenience with historical charm. 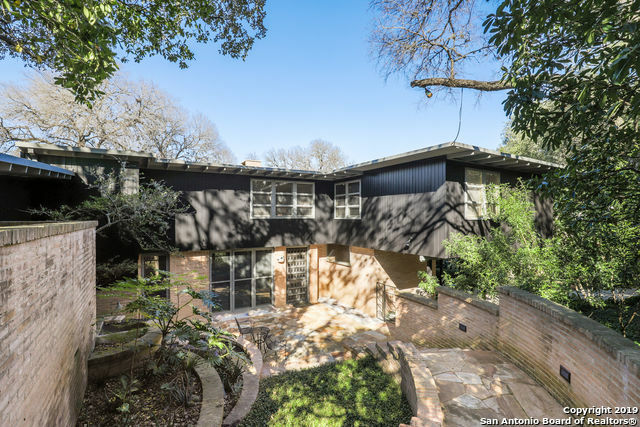 This property is perfectly situated to San Antonio Community college and walking distance to The Pearl and downtown SA." "Award winning restoration/renovation. Elegant entrance, wonderful wood floors, high ceilings beautiful windows. Outstanding island kitchen top of the line appliances. 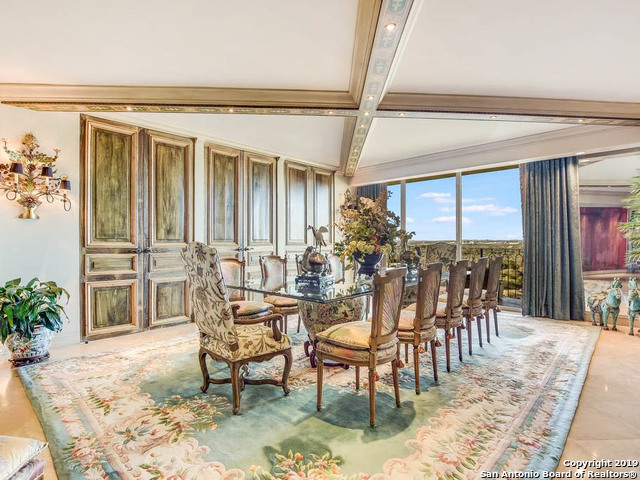 Formal living & separate formal dining, first floor family room opening to the outdoor entertaining & pool. 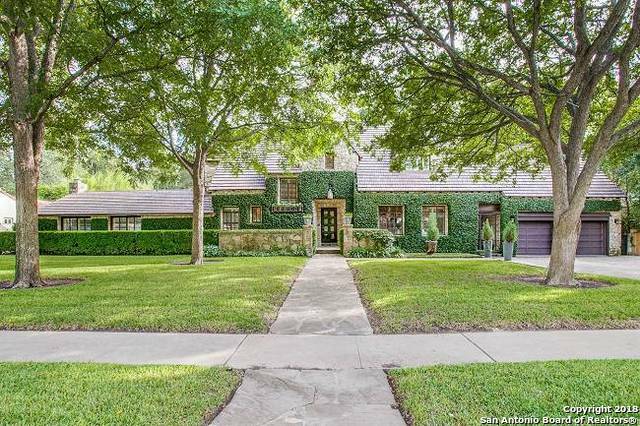 All bedrooms are up, outstanding master with sitting room and enormous master spa bath. Third floor bedroom and retreat. All closets have California closets fittings. 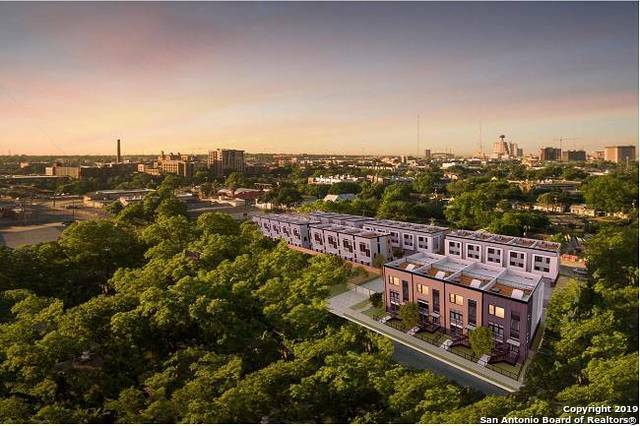 Minutes to the Pearl walking distance to restaurants and s"
"Realize the dream of a convenient,urban lifestyle in the heart of San Antonio's beloved Pearl District.New fantastic boutique townhome community exclusively designed by Alamo Architects. 2 blocks from Hotel Emma with open concept floorplan, Pella windows, hardwood flooring, integrated elevator option, high ceilings, energy efficiency. Gather on the rooftop deck to enjoy spectacular downtown views! Visit our showroom to discover the possibilities.New construction underway with estimated completio"
"Fabulous 1920's Renovated Home Nestled in Highly Desired River Road Historic District*Beautiful Hardwood Floors*Separate Workshop with Deck Perfect for Art Studio*Must See this Wonderful Property*Walk to the Zoo, Breckenridge Park, Golf Driving Range, Golf Course and the SA River*Minutes to the Pearl Entertainment District, Fort Sam Military Base, Downtown, Quarry Market Mall, Airport and Dining"
"Elegant estate nestled within the heart of Historic Monte Vista district exuding timeless luxury.Original architecture found throughout keeping its 1920s charm intact.Inviting floorplan&walls of windows affording ample natural lighting to flood the interiors exemplifies the gems gorgeous appeal w/hardwood floors,soft finished walls,crownmolding,gourmet kitchen&master retreat w/spacious guest bedrooms are found up.Tranquility is found outdoors w/lavish mature landscaping,stunning oaks,pool&detach"
"Spacious Olmos Park home with beautiful wood and Redondo tile floors. Upstairs master retreat has large sitting area w/balcony. 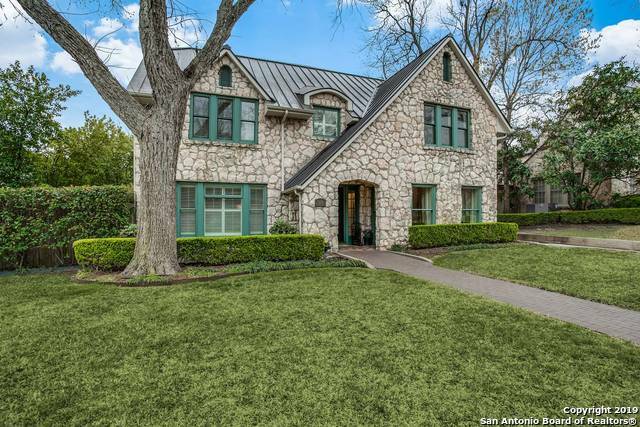 Luxurious master bath w/beautiful finish out, has claw foot tub & separate shower, dual vanities and large walk-in closet. Also, upstairs is a small room that would be a great nursery or office. Kitchen has granite counter tops & SS appliances. Two spacious living areas & two separate eating areas. Plantation shutters throughout. Two car garage w/quarters."